The interactive, mesmerizing, kinetic spring that's addictive fun and the latest craze! Take the magical coil of steel, slip it over your hands and let it flow easily across your arms, creating a captivating bubble of movement. Incredibly tactile, will cascade around just about any object and you can even pass it from your arm to a friend. 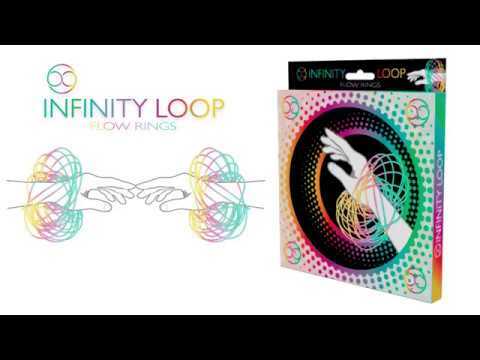 The interlocking flow rings fold flat and pop open, a 3D kinetic spring that can do tricks. Great fun, like a springy slinky for your arm! Stretch, twist & tear it, even bounce it & watch the colour change.